One of my favourite things to do in my spare time is to have a pamper night, whether that’s after work or on the weekend I love having some ‘me’ time and switching off from my daily routine. In this post I thought I’d discuss what I like to do to relax and hope that it inspires you to have some chill time and take the time to look after yourself. 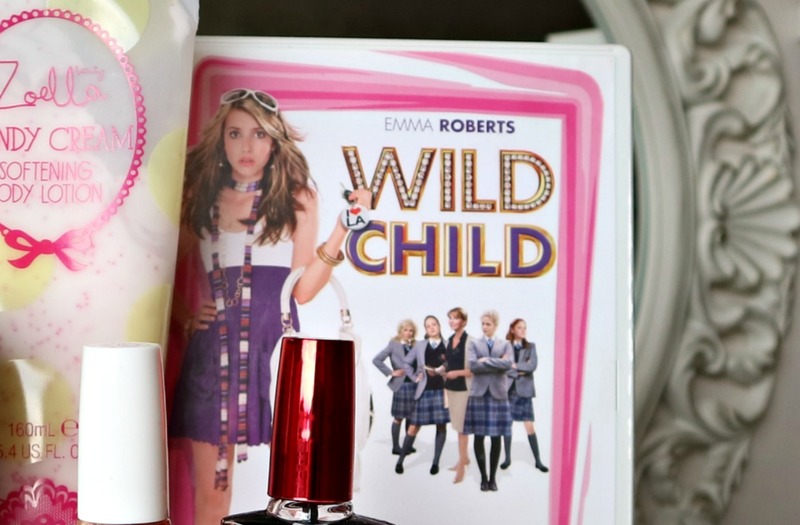 1) Are you a film or book person? Personally I’d say I’m 50/50 dependant on my mood! Sometimes I reach for a well loved movie such as Wild Child (definitely 1 of my top 5 chick flicks) but at times I love starting a new book. 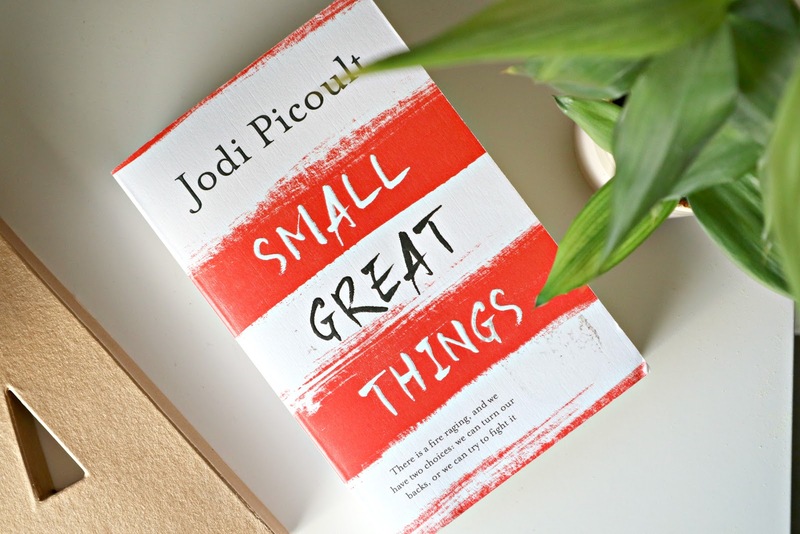 The book I’m currently reading is Small Great Things written Jodi Picoult, a story that challenges prejudice, race, and justice. There are so many different face masks available in stores recently. I have been enjoying the Garnier Moisture Bomb and the Loreal Pure Clay ranges. 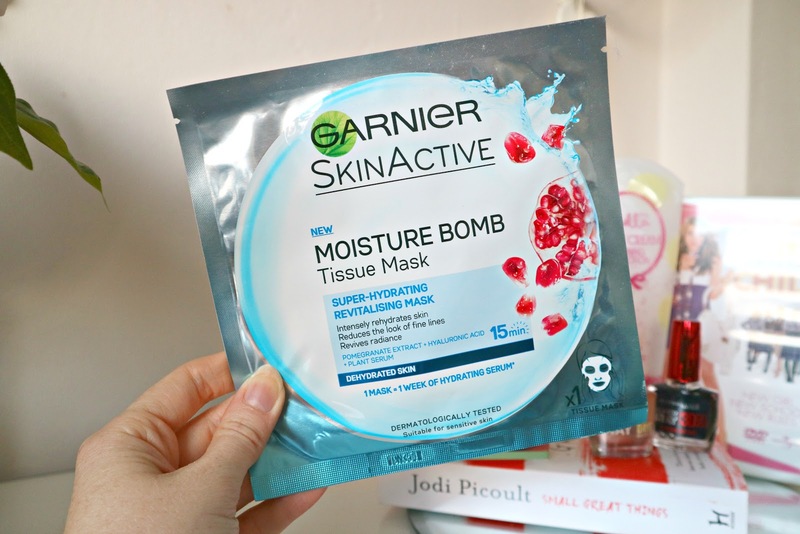 Garnier Moisture Bomb – Revitalising Mask – Perfect for a facial ‘pick me up’ for a boost of hydration. These masks are purchased individually (1 per pack) therefore I only use these about once or twice a month due to the cost. 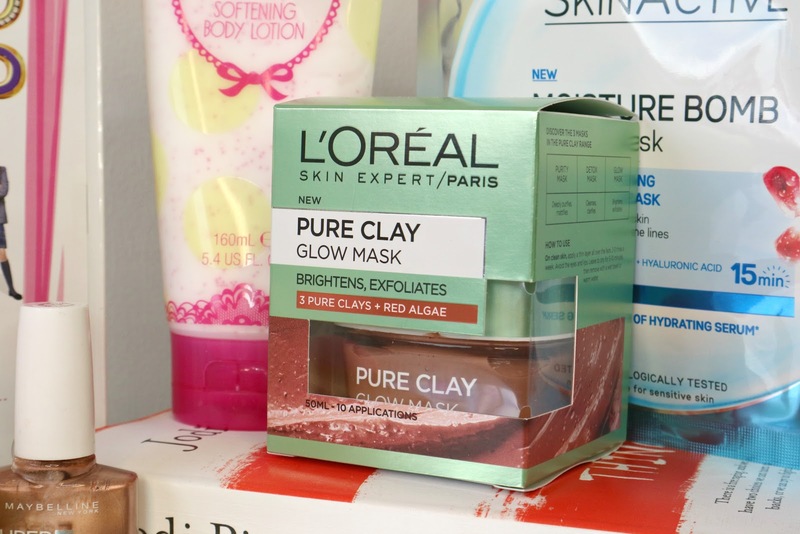 Loreal Pure Clay – Glow Mask – This mask brightens and exfoliates skin, enriched with Red Algae extract which is known for its brightening properties – this mask leaves skin feeling clean and refreshed. With the product containing 50ml it’s recommended that it can spread up to 10 uses. Sometimes nothing quite beats a relaxing bubble bath and you can’t not have a bath without a bath bomb, right? 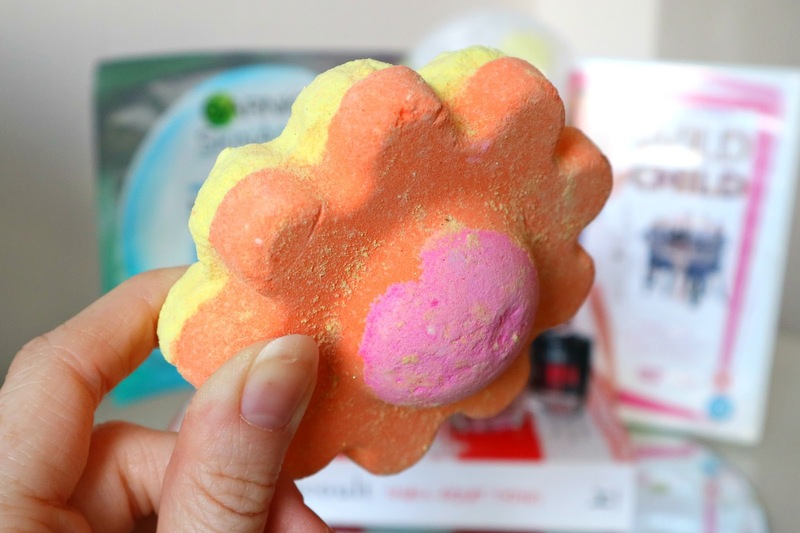 If you want to read more on my most recent LUSH haul click > HERE! I’m not someone who gets my nails done professionally, therefore the only time my nails ever look half decent is when I incorporate painting my nails with my pamper routine (otherwise I’m far too lazy to bother!). 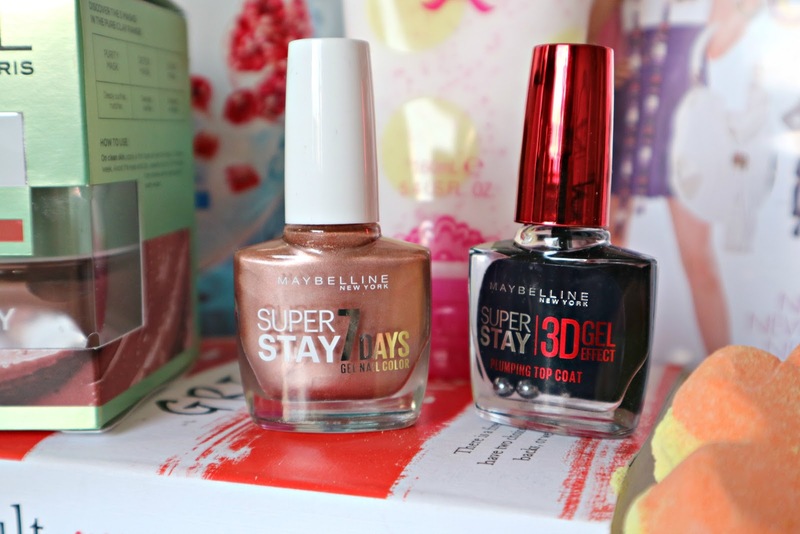 I picked up these two polishes recently, both by Maybelline New York, the first is a gorgeous shade in 19 Golden Brown and the second is a 3D clear Gel Effect plumping top coat. 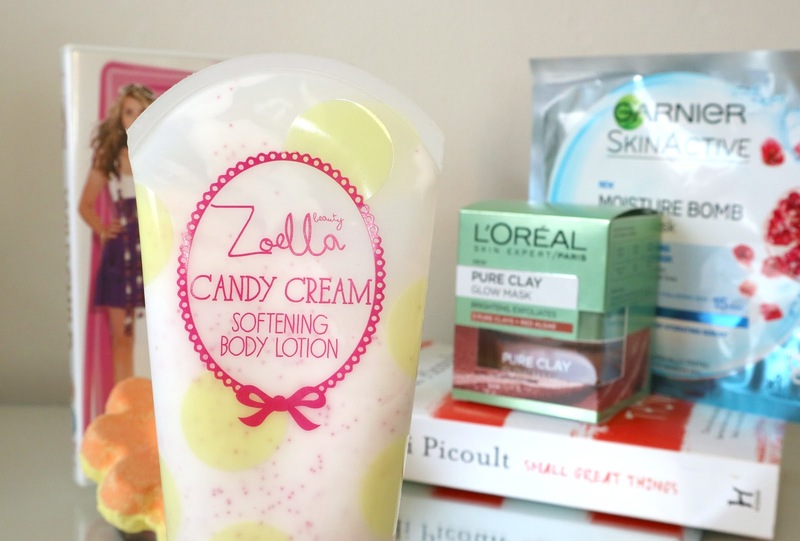 The Zoella Candy Cream Softening Body Lotion is one of my favourite body lotions. If I’m honest I always forget to moisturise on a daily basis therefore I am always sure to add it into my pamper routine. What do you like to do to relax and pamper yourself? I'm Abi and welcome to my little getaway place where I share with you my beauty, fashion and fitness obsessions along with some general chit chat about my life.